Jojoba oil: It is a very light-weight oil that absorbs into the skin easily. Jojoba oil is usually used in various kinds of massages and has anti-inflammatory properties a reason why it is also used by many naturopaths to treat acne. As it is light base oil, it gets dissolved in the sebum and moisturises the skin from within keeping it supple and soft. 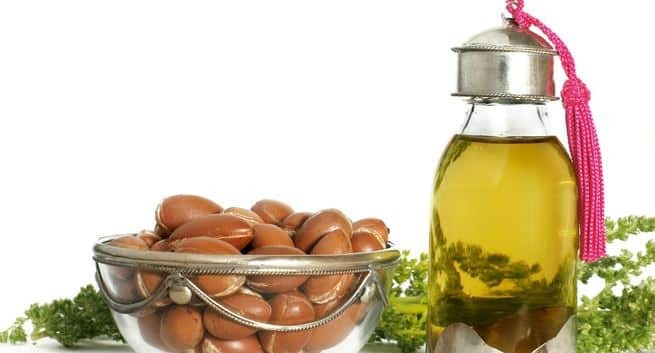 Argan pure cold pressed oil: This oil is an abundance of antioxidants like Vitamin E, Vitamin A and other important nutrients. A facial massage by argan oil helps to rejuvenate and strengthen the collagen of the skin and nails. It is also excellent massage oil for the scalp. It works as an exfoliator when a few drops of argan pure cold pressed oil is mixed with one tablespoon of brown sugar and rubbed all across the face. Carrot seed pure cold pressed oil: Rich in antioxidants like vitamin E and C it is used widely for hair and skin care. Carrot seed oil is also anti-fungal and anti-bacterial in nature that helps in the prevention of skin and scalp infections. Apply 2- 3 drops of carrot seed pure cold pressed oil before applying sunscreen in the morning, to protect the skin from sunburn, it helps. Marula pure cold pressed oil: This oil contains a high amount of Omega 6 and Omega 9 along with certain essential antioxidants. It is known to reverse the damage done by UV rays and works for every skin type. It acts as an excellent moisturiser, treats acne, blemishes scars and improves hair health. Rosehip pure cold pressed oil: This oil is rich in vitamins; antioxidants and essential fatty acids that rejuvenate the skin up to the deepest layers and keep it young and beautiful. It acts as an anti-wrinkle when used with vitamin E oil and massaged twice a day. In a nutshell carrier oils are natural and have their own added benefits since they are dense and get absorbed into the skin very quickly.